All the photos shown in my gallery can be purchased. Excluded only are the presented marked with NFS (not for sale, for copyright reasons, mainly portraits). 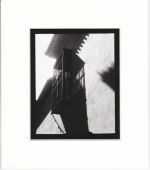 The photos can be delivered as pure prints or covered by passepartouts. The photos are hand made direct copies of the calotype negatives. 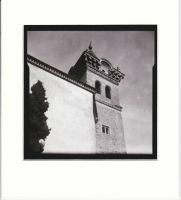 This contact copy technique results in print formats of 4 x 5 inch or 15 x 15 cm. If you like we deliver them in passepartouts also. Another option is the photo scanned (300 dpi). The prices for copies start with 35,-- Euro. For the work to create the copies may differ by large - every step is hand made â€“ I regret that I cannot offer my clients a uniforme price for all the photos. I would apreciate if you request for a detailed price list. Please contact me by e-mail (chac-mool-cenote@gmx.de) or postal service.